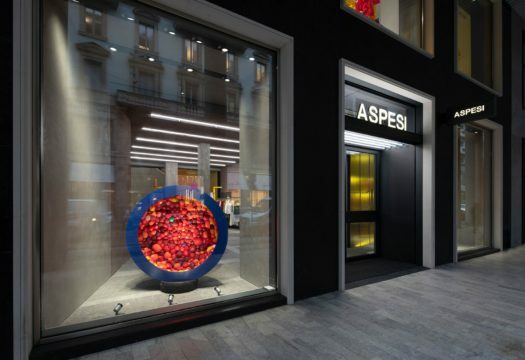 The new store of Aspesi in Milan, at Via San Pietro all’Orto 24, has three windows on the street and six on the first floor. 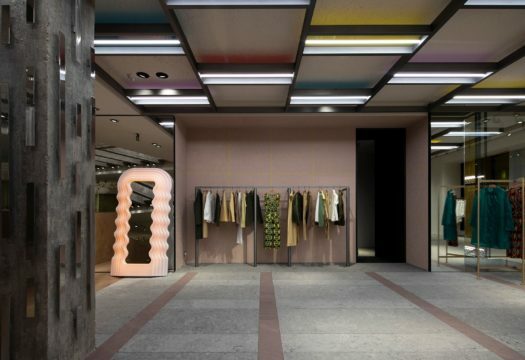 The space of 600 square meters on two levels, designed by Dordoni Architetti, is based on a concept of contamination of materials and colors. 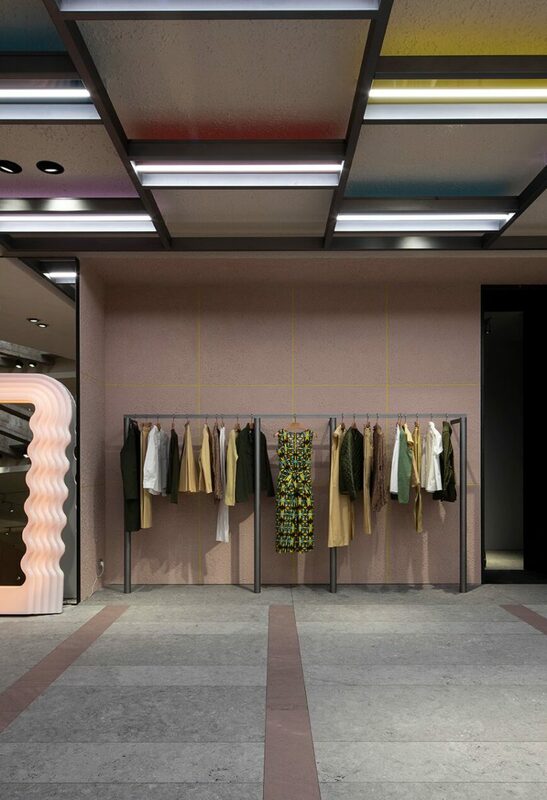 PVC, fiberglass and plexiglass alternate with wood, iron and inlaid stone; the gray lime plaster is highlighted with colors on the walls, shifting from gray-green to ochre, to powder pink. A large central skylight brings natural brightness, while an enlargement of the photograph Lemurian Morning Wood, by David Benjamin Sherry, accompanies the large frontal staircase that begins in stone and transforms into wood. A second staircase whose walls are decorated by a sequence of curved lines leads back to the entrance, completing an ideal circuit of exploration of the space. 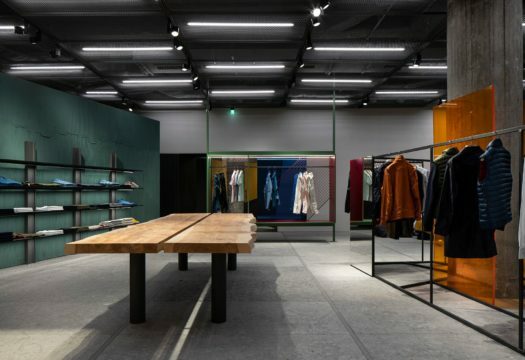 The large fitting rooms with a cocoon effect have interiors in wood, iron and fabric. 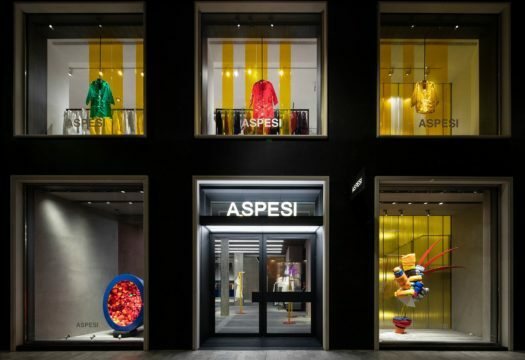 The area set aside for customer service is screened by large blue fringes with an industrial look in PVC, also seen in a yellow version as the backdrop of the displays on the upper level. For the opening, the artist Lorenzo Vitturi has created the installation Retouches, based on the study of Aspesi materials reinterpreted in an eclectic way.